Dead straight and with a purpose. If you’ve ever found yourself picking up speeding on a suddenly very straight bit of the A419/A417 or found a stretch of the A429 and the B4455 easy to overtake things on or around Stangate near Carlisle you will actually be driving on a road system that was laid out some 2000 years ago! Those roads also had more interesting names like the Fosse Way and Stane Street when they were first laid by our Romano-British Ancestors. Their thinking wasn’t so that you’d have the chance to get by a Caravan on the B6049 years later it was actually a chance for them to solidify their power and link together their towns and cities. It allowed for the easier movement of the Legions and more importantly meant the increase of trade and information. It was the first real attempt to create a permanent stone road that is now replaced with our process of tarmacking which is carried out by Tarmac Contractors Yorkshire based and other locations in the UK. 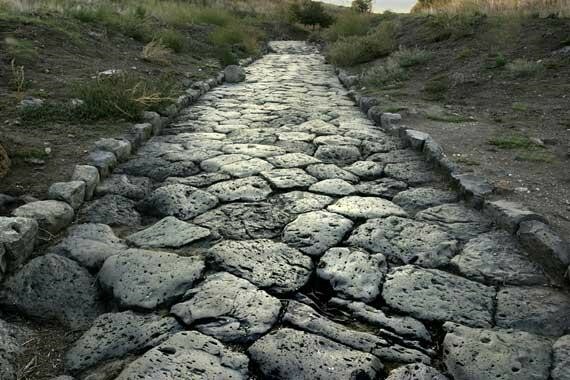 The first surprising fact about the Roman roads of Britain is that they aren’t exactly done to Roman design. 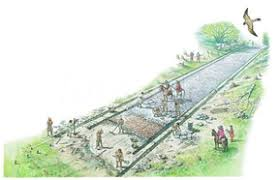 It’s a commonly held misconception that the Roman Empire was the first to think of building straight roads but it most of them were based on the existing Iron Age/Celtic people, the indigenous Britons, road systems before the invasion. This means that many of the towns we think of as being part of the coming and establishment of the province is partially based on towns and settlements already there. This is certainly true of Aquae Sulis or Bath as it is now known that had some kind of settlement dating back to prehistoric times. It is, then possible that the road layout dated back to the original tracks laid down by the first humans on the Island. The original Roman roads linked the city of London to the ports the Empire had used to gain access to the Island. Namely Chichester and Richborough. Legionary camps at Wroexter in Shropshire, Lincoln and Colchester were also established. A great Western route, taking in Aquae Sulis and Cirencester (Corinium), to get to the large Garrison town of Glevium (Gloucester) was also set up. Construction was simple but effective. A 5 to 8 metre wide strip was cleared with the removal of the topsoil then replacing it with sand and gravel. Stones of large to medium extraction were added. In some cases for the main ones like Ermine Street and Watling Street a layer of limestone based concrete was added. These were originally built be the Legionaries. « Should you look into the benefits of Reiki?